Surf details: More than a dozen beaches including, Ribeira de Ilhas, which as become internationally one of the best surfing beaches in the whole of Europe, offers to the tourists a wide range of quiet places and scenarios. If you are looking for the best rollers in Europe go to Ribeira de Ilhas beach. Ericeira, with the beach regularly used for body boarding, skim boarding and beach-volleyball, as well as a base for scuba diving, deep sea fishing, water skiing and windsurfing expeditions. Gastronomy: A wide choice of good restaurants with traditional and seafood are available at the down town of Ericeira. Some of the best restaurants outside Lisbon are found in Ericeira, and the views from the hillside establishments are absolutely fantastic, especially as the sun sets over the horizon, lighting the sky with a wonderful orange hue. Local Information: A complet set of information of local area are available at the apartment. Sintra town is absolutely beautiful, situated in beautifully lush, green hills. The National Park of Sintra/Cascais is absolutely stunning, named by UNESCO for its natural beauty and cultural importance. The medieval town of Obidos, about 40Km to the North by motorway A8, makes almost essential the visiting, is absolutely beautiful. The beautiful National Park and Palace of Mafra offering visitors some magnificent walking, mountain biking and horse riding trails. We recommend car hire to explore this lovely area. Parking place at the garage. A detailed map 'how to drive to Ericeira' will be supplied. Transfer from Lisbon Airport directly to the apartment, can be arranged by 65 euros for all family, at any hour. We stayed here for just over a week with our 4 children aged 6, 9, 10 & 13. It suited us perfectly, there was plenty of room for us all, beds were comfy, and the kitchen had everything you would ever need. it was a real home away from home. Our kids loved the swimming pool, the garden area around the pool was well maintained and comfortable to pass time there as the kids swam.. We didn't hire a car and didn't a need to as the beach bus stops right outside the gate (in either direction) or it was a very pleasant, safe walk to the centre of Ericeira (20mins).. Likewise In the other direction a 20min walk brought us to Foz Do Lizandro beach, which had something for everybody, , swimming surfing, skateboard hire, restaurants.. From the apartment it was only a ten minute walk to South Beach, which (as we discovered on our second last day) has a lovely walkway along the beach to the town centre. We all had a very enjoyable holiday here and would return. Thanks a lot for such nice words. Hosting wonderful families like yours is the main reason to continue sharing our home. We stayed 9 days in this lovely flat The view, the terasse and the location was perfect . Our family had a wonderful stay in Ericeira. The apartment was perfect for us and the location was just a short stroll into town where we had some amazing meals which were exceptional value. The amenities at the apartment were great and the apartment had a really nice feel to it which made you feel very much at home. Mr Silva was most helpful and gave us some great advice on places to visit. We hired a car so we were able to explore the surrounding areas and fabulous beaches and we visited the beautiful towns of Sintra and Cascais. We spent a day in Lisbon which was fantastic with so many amazing places to visit including the palace and castle and not forgetting the wonderful shopping areas and of course the Benfica football stadium. We would definitely recommend the apartment. Our children 11 and 13 loved playing table tennis and they had great fun playing in the pool. Ericeira is a lovely place and we had a great week and would love to return sometime. Perfect for staying in Ericeira !!!! My wife and I arranged for a stay at this apartment and had an absolutely wonderful experience. The view from the apartment and balcony is pure ocean and the location is perfectly located just south (and walkable) of Ericeira town. The village of Ericeira is full of charm and warmth, with great seafood, pastries and coastal walkways. The Owner was very nice and great to work with, from our email communications to our face-to-face interactions. In fact we had such a great time that we extended our stay (we were fortunate that the apartment happened to be available). All the property info and descriptions are accurate, my main recommendation is to give yourself as much time here as possible. First of all we would like to thank the owner for such a great welcome. 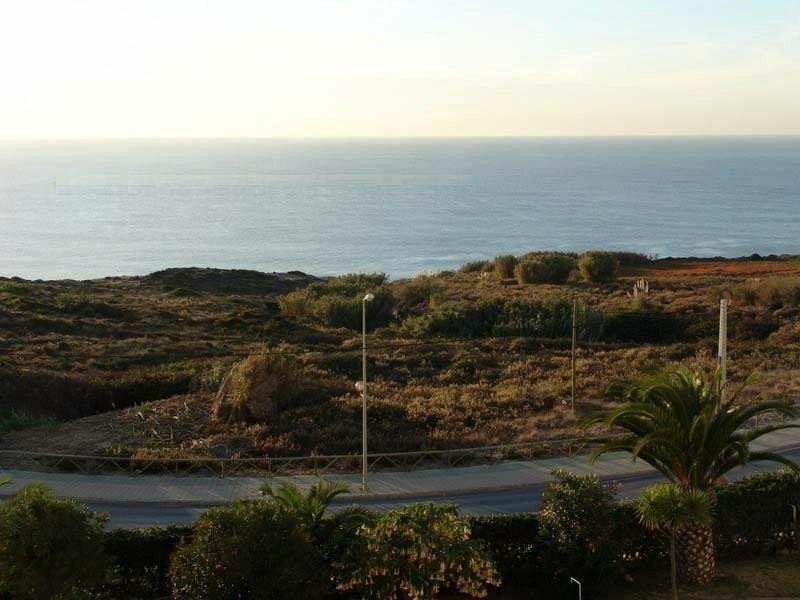 The apartment is set in a comfortable condominium about 10 mins walk till Ericeira downtown. There is an underground parking, a large pool in the yard and a ping pong table. The apartment is situated on the top floor with fantastic, spectacular view to the ocean. By the way, it's the flat with the best possible position we've ever met. All the windows (and there are many windows) face 3 directions: to the east with the sunrise, to the south with the sun during the day and to the west with amazing sunsets into the ocean. So, ther's always a lot of light. The flat is extremely clean, has many nice details in the interior. You have all you need for a comfortable stay even with a small baby. All the gadgets, like heaters, dishwasher etc are in working condition. Ericeira itself is a very nice town with relaxing atmosphere and good access by car to the major attractions (Sintra, Capo da roca, Mafra, Lisbon). There are lot of beaches around. The nearest one to the the apartment is only 5 mins walk. I could add that this apartment is suitable even for those, who do not use a car. Bus from Lisbon takes about 1 hour, Ericeira is not so large so we crossed the whole town daily. The nearest foodstore is 15 mins walk, the nearest cafe with a good buffet is only 5 mins walk. We really recommend this apartment to everyone thanks to it's perfect value for money, very good condition, ideal location and very nice owner. Traditionally a place of fishermen and sailors, offers a lot of good restaurants with seafood, bars, night clubs and shops.Tennis is nearby. Sintra very well know town about 20 Km has a wide choice of golf facilities. We recommend car hire to explore this lovely area. Golf: The famous towns of Sintra and Cascais very well know, about 20 Km from Ericeira has a wide choice of golf facilities. Discounts for rents of more than 2 weeks. Christmas, Easter and Carnival time periods, the rates increase 20 %. Without additional costs or hidden costs. Weekly Cleannings with exchanges of bed clothes and towels. No extra costs. Security Deposit of 50% per booking.